Half a year has passed since Seagate completed its acquisition of Samsung’s hard drive division, in a transaction valued at $1.4 billion. Now the company is ready to open its wallet once again, announcing plans to acquire a 64.5-percent controlling interest in Paris-based LaCie at 4.05 euros ($5.12) per share, in a deal that values the French hard drive maker at around $186 million. The move will allow Seagate to boost its presence in the consumer storage market, especially in Europe, the Middle East, and Africa where LaCie sells the majority of its products. 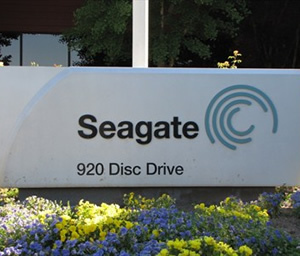 Seagate will gain about 200 to 300 employees from the deal, including LaCie CEO Philippe Spruch, who would lead Seagate's consumer storage products organization. The company says it has no plans for layoffs. The transaction is expected to close in the third calendar quarter of 2012 pending the relevant regulatory review. If approved, Seagate would then make an all-cash offer for LaCie’s remaining outstanding shares. The Seagate-LaCie deal shows accelerating consolidation in the consumer storage space as more and more data moves to the cloud. Meanwhile, margins for consumer drives have been getting thinner over the past few years, but the supply constraint caused by last year’s flood in Thailand actually resulted in boosted earnings for Seagate, as its facilities were the least affected yet demand sent prices up for all drives.